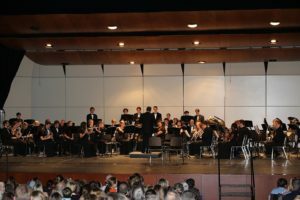 The Symphonic Band is the primary performing organization in the instrumental music department during the winter and spring. Membership is by audition only with the possible exception of switchovers. The Symphonic Band will be comprised of students with the performing ability necessary to play level VI literature. 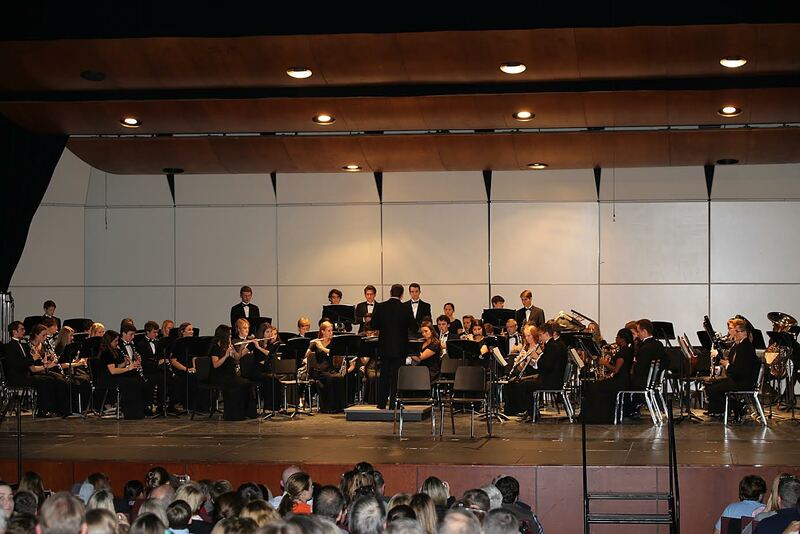 The Concert Band I is comprised of students with the performing ability necessary to perform level V/VI music. Membership is by audition only. The Concert Band II is comprised of students with the performing ability necessary to perform level IV/V music. Membership is by audition only. The Chamber Winds class is comprised of students with the performing ability necessary to perform level III/IV music. Membership is by audition only. Students will perform at home concerts with Concert Band II. During the fall and spring, chamber ensembles will be formed. ALL band members will be encouraged to perform in a chamber ensemble. Possible groups will be Woodwind Quintet, Brass Quintet, Saxophone Quartet, Horn Ensemble, Trombone Quartet, Low Brass Ensemble, Flute Choir, and Clarinet Choir. There will be a chamber concert in the spring.